Is weight loss one of your biggest challenge, well, don’t worry, it is possible to lose weight without following a stringent diet that will make you grumpy the whole day! Healthy weight loss should be fun and manageable but devoid of those scary and life-threatening diets. So, how can you achieve this without ridiculous diets? As they say, breakfast is the most important meal of the day; therefore, you cannot miss this meal even if you are working on weight loss. Usually, when you skip breakfast you will end up consuming a lot more calories during the day.it is crucial to start the day with a healthy breakfast such as wholegrain cereal, fruit, and low-fat dairy products. Eating late into the night is the primary cause of weight gain. Therefore, if you wish to shed off some of that weight, you should entirely avoid eating at night. If you can’t control your appetite, you can put stringent measures such as closing the kitchen at specific times of the night. Everybody likes having a sweetened drink to quench thirst or reduce hunger but did you know that such drinks have the most calories. Well, if you aim to lose weight then you should watch the kind of drinks you take. Consider alternatives such as water, sparkling water or low-fat milk instead of sweetened drinks. Alcoholic beverages also bring in a lot of calories hence should be avoided if possible. We all know that if you don’t sleep well, our bodies tend to react hence it is crucial to make sure that you rest for at least 8 hours every night. Research shows that people who get enough sleep can quickly shed off the extra weight than non-sleepers. A healthy weight loss involves satisfying your body with a balanced diet in the right amounts. Make sure you include whole carbs, proteins, fats and whole grains This will enable you to have enough energy for exercising and keeping the bodily functions at optimum levels at all times. Whole grains when included in your meals provide the necessary fiber and fills you up hence limiting intake of large amounts of food. When working on your weigh you should ensure that you do not eat the same food more than once unless it is vegetables. Nuts contain healthy fat and proteins which make it a suitable component in weight loss journey; therefore, eating a handful of nuts every day can accelerate your weight loss. Eating a bigger portion is a recipe for weight gain. Therefore, when trying to shed it off, it is essential to watch the amount of food that gets to your plate. A natural way to control portions is to use smaller plates, cups, bowls during your meals. This tactic works because it tricks your mind that you have taken a larger portion and you will feel satisfied. Research has shown that taking enough legumes in your meal can accelerate weight loss; therefore, if you are thinking about losing weight, legumes should be on your shopping list. Legumes contain fiber and antioxidants that hasten the process of digestion and absorption of food into the system. In any weight loss journey, drinking water is not an option but a mandatory requirement. Water is the most critical component in any diet as it helps in promoting healthy digestion, prevents overeating as well maintaining a healthy body metabolism. Processed food contains a lot of salt that results in retention of water weight in your body. To eliminate this type of weight, you must cut back on the amounts of processed food so that the excess sodium is removed from the body. As you cut back on excess salt, you can also increase the potassium intake to neutralize the salts. Weight loss is incomplete without exercise; a high-intensity exercise can yield results much quicker however to do this kind of exercise you must have the energy requirements to avoid depriving the body. Exercise activities such as squats, pushups, burpees, and others can be used. Another exercise such as walking using a pedometer can be quite helpful as it helps in burning some calories. 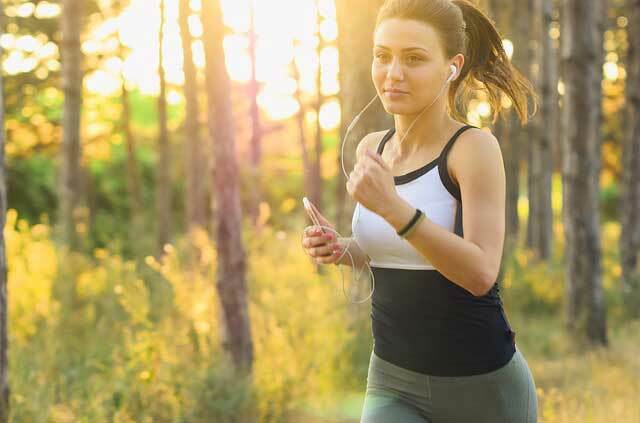 It is also advisable to keep busy during the day for instance by walking to run errands as opposed to driving, use the stairs and any other physical exercise that can help burn excess calories. Well, this is not new advice but either way it is one that cannot be ignored. Intake of simple, refined carbs such as cookies, candy, pasta and even sugar itself can make you add a lot of weight within a relatively short time. Therefore, if you intend to lose weight, avoid them at all cost, and you will be surprised at the progress. During your weight loss program, you will need to have a plan that eliminates all scenarios that can take you a few steps back. For instance, if you are going out to a party where everyone will be eating and making merry you need to counter the temptation of joining the others by filling yourself with whole grains, fruits, and vegetables before the occasion so that your body will not feel deprived instead you will feel full and happy. If you have ever tried weight, then you know what I am getting into; the immediate environment such as your kitchen will significantly determine how your weight loss progresses. If you want to succeed, then it is essential to start with what you stock in the kitchen and even have a list of restaurants you can visit. First, your kitchen should contain health alternatives for the journey lest you get tempted by a piece of candy in the fridge. Also, ensure you surround yourself with people who are supportive of your decision and who can help you fight off the temptation to backslide even for a minute! Every problem begins in the brain. If you condition your mind well, then you are likely to succeed with your weight loss. Many people fail because in their minds they have already decided that it is a hard task. In conclusion, weight loss should not be necessarily a hunger strike; it can be as enjoyable and still yield excellent and sustainable results. However, to achieve that, you must be disciplined and be willing to change some aspects of your diet.